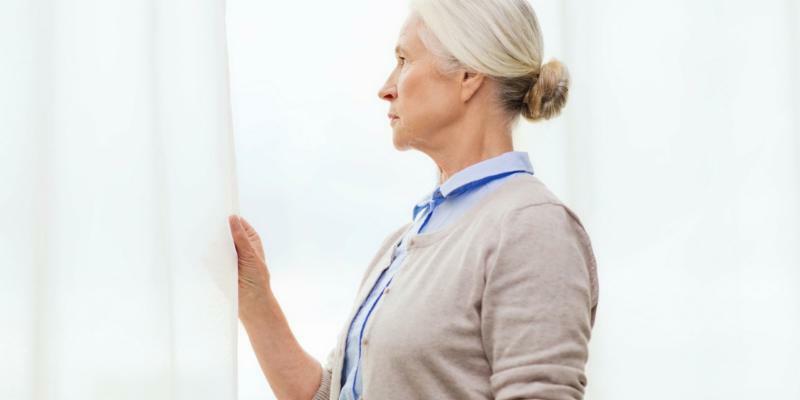 Widows are one of the fastest growing demographic groups in the United States, with 11 million women and growing. The death of a spouse is one of the hardest things a person can go through. Along with all the emotional struggles of losing a spouse, many times it also brings major financial changes. Widows often have unique financial circumstances which can be overwhelming at times and require many decisions to be made. If you’re a widow and are uncertain about how to plan for the road set before you, here are some tips to help you on your journey. If you’re under a significant amount of emotional pressure, then it’s easy to make quick decisions to get you through the situation. Oftentimes, these quick decisions can lead to mistakes and regret (buyer’s remorse). These quick emotional decisions can also have negative long-term consequences. While you may be comforted by surviving family members who love you and want the best for you, they aren’t always the best people help you sort out the difficult financial decisions you must make. In the first year of widowhood, a financial advisor can help you figure out your budget, retirement income, Social Security, insurance benefits, as well as help you plan for your future. In the weeks immediately following your spouse’s death, you may be overwhelmed with the number of financial decisions you now have to make. You should find out where all your accounts are, such as checking and savings, and update their ownership to reflect that your spouse will no longer be listed on the accounts. Your insurance policies will need to be updated and you will need to know where your retirement investments are as well. Many financial companies will also require death certificates, so you should be proactive and order multiple copies. Odds are you will need to change your beneficiary designations on many accounts as well. When entering this new phase of life, you will want to know you’re being taken care of financially so that you don’t make quick decisions that could end up being mistakes. You likely will need to create a new budget for yourself with all your expenses and income (Social Security, pension, retirement distributions, rental income, etc). Once you have that foundation you can start to plan how to move forward. A major component of financial security is knowledge. Making decisions without understanding what’s involved can lead to more stress down the road and bring unnecessary instability into your life. Finances can be confusing and complex, especially in a world with so many opinions. But the reality is that with some guidance, it’s not impossible to make sound rational decisions to create a sustainable plan for the future. Planning for your future as a widow may bring up strong emotions, but you may actually feel empowered by the process of creating your own financial roadmap. Throughout this process, you should take the time to reflect on what you want your life to look like in the years ahead. Maybe it involves moving to Florida or playing golf more often. Once you have the big picture, it’s easier to create strategies that align with your goals. When you start to get a better understanding of what your financial situation looks like, then it’s time to start honing in on creating your plan. You don’t have to do this alone. You can develop a relationship with a financial advisor who can guide you along the way. You will need to think through a plan for how to use the income you receive. Withdrawing money from certain accounts could result in tax implications or significant fees if not done correctly. You will need a strategy to figure out which assets to take from first and which ones to let continue to grow. You may also discover that your need to withdrawal from your retirement accounts has increased or decreased significantly than when your spouse was alive, which can change what you had been doing in the past. Once you have a plan for your future, you might be ready to make long-lasting decisions with your money. One of those decisions may involve creating a lasting legacy for your family. Do you want to set up education funds for your grandkids? Are there charities you want to donate to? Do you have an estate plan that reflects your wishes? Once you are in the implementation phase of your plan and you can see it coming together, you may feel excited that you can carry out your and your spouse’s dreams and plans. In order to thrive while a widow, you will need a community around you to support your emotional, mental, and financial well being. Part of that community should be a financial professional. Much of the time, one spouse handles the investments with the family advisor. After that person has passed away, the new widow essentially inherits the advisor. The reality is that many widows haven’t had much of a relationship with their advisor and now must determine if they trust that person or not. It is essential that you have someone you trust that you can turn to for help in financial matters. After losing your spouse you might feel vulnerable and many unscrupulous people prey on widows. You should take some time to get to know your financial advisor and determine if you like working with them. Your added peace of mind is crucial. Whether you are wanting to start a conversation about how to understand your finances or need help to manage the estate your spouse left behind, we have experience in helping new widows. Call us at (410) 863-1040 to get started.